AccTech Eswatini would like to invite you for an information session to Royal Swazi Spa resort on the 7th May 2019. We will be discussing Human Resource software with specific focus on Payroll, Leave and Personnel Management. How to automate your HR processes. Enable your HR and Finance teams with the state of the art software. Our solutions are scalable to any size business. Companies from all sectors and sizes will gain valuable insight in the administration of HR and Payroll using the number 1 HR & Payroll solution in Southern Africa. Mr Mlandvo Sikhondze is a qualified Chartered Accountant (SA) and is a member of the South African Institute of Chartered Accountants and the Eswatini Institute of Accountants. He has years of experience in auditing, taxation, accounting and risk management gained from the professional services, Tax Administration and Banking industries. 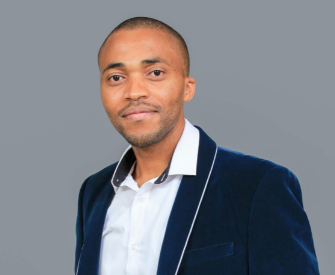 He holds a Bachelor of Commerce degree from the University of Swaziland, 2 post graduate diplomas in accounting sciences from the University of South Africa and a post graduate certificate in Compliance Management from the University of Johannesburg. Mr Sikhondze has held various positions including senior management roles at various organisations including PwC Swaziland, Swaziland Revenue Authority, Standard Bank Swaziland and is currently the Chief Financial Officer for the Swaziland Financial Intelligence Unit, an organisation which he played a lead role in its successful establishment in 2017. Why Sage 300 HR and Payroll ? Limited seats available register now!